A five-hour walk along the mountain ridge from Dinas brought us into Newport for a very very late lunch. It was wonderful to sit down (warmly, comfortably and well looked after) inside and to be offered a great range of delicious food. Even the coffee was fantastic – and we are difficult when it comes to coffee. Take a look inside. Here is yesterday’s menu. I know it says “panninis”* but I was hungry enough to be able to overlook the ‘s’. 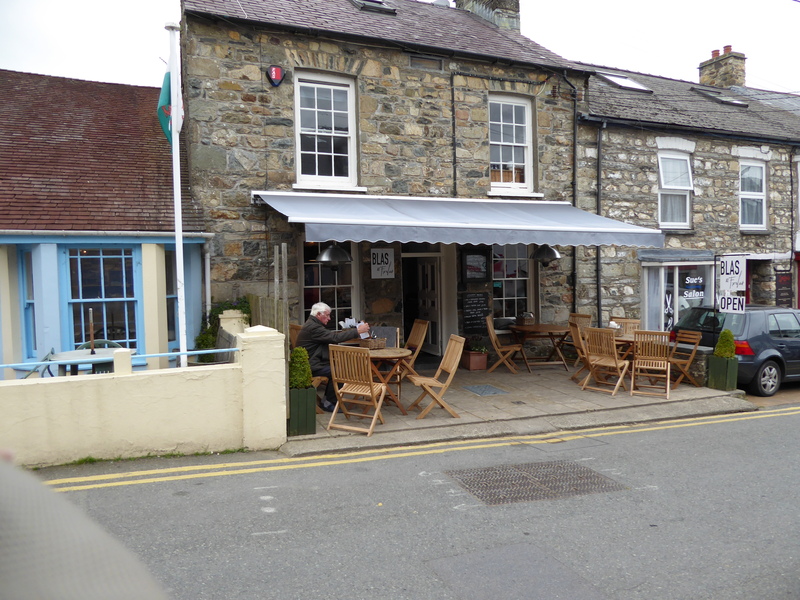 This entry was posted in Food, Walking and tagged Blas, cafe, Dinas, Dinas Cross, Newport. Bookmark the permalink.